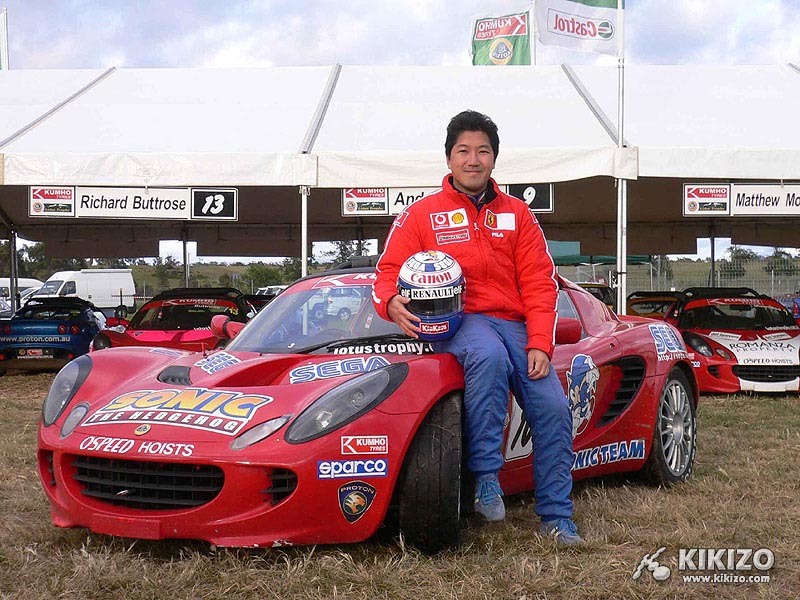 Kikizo | News: Yuji Naka Goes Racing - Photos! 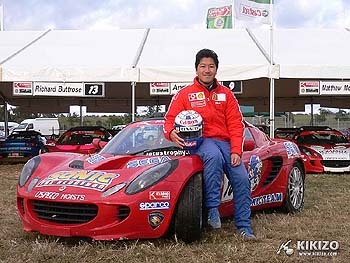 Yuji Naka Goes Racing - Photos! 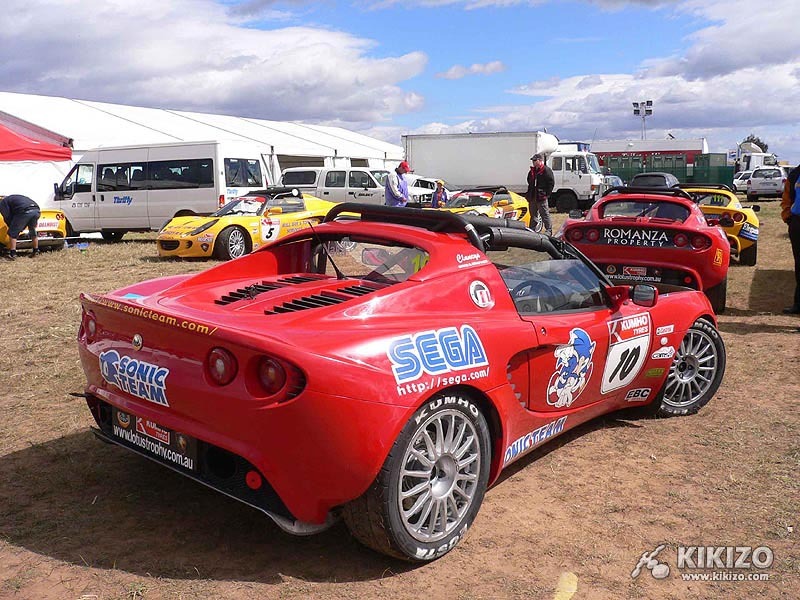 Famed Sega producer hits the race track. 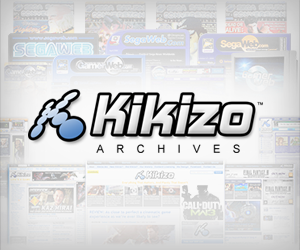 Apart from being creator of one of the best-loved games characters of all time, Yuji Naka also loves racing powerful sports cars - something Kikizo readers have known ever since he talked about his beloved Ferrari 360 Spider in an interview. Come race with me! Super Sonic Racing! YEAH! 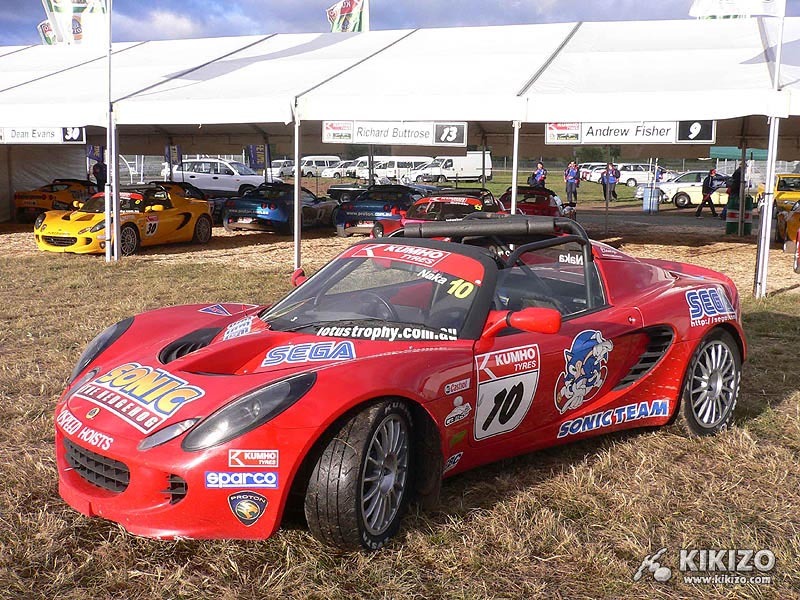 And just recently he proved it, in round six of the Kumho Tyres Lotus Championship in Tasmania in November. While he didn't quite take any chequered flags, Naka-san certainly proved he's a driver to be reckoned with, competing as he was with seasoned experts. 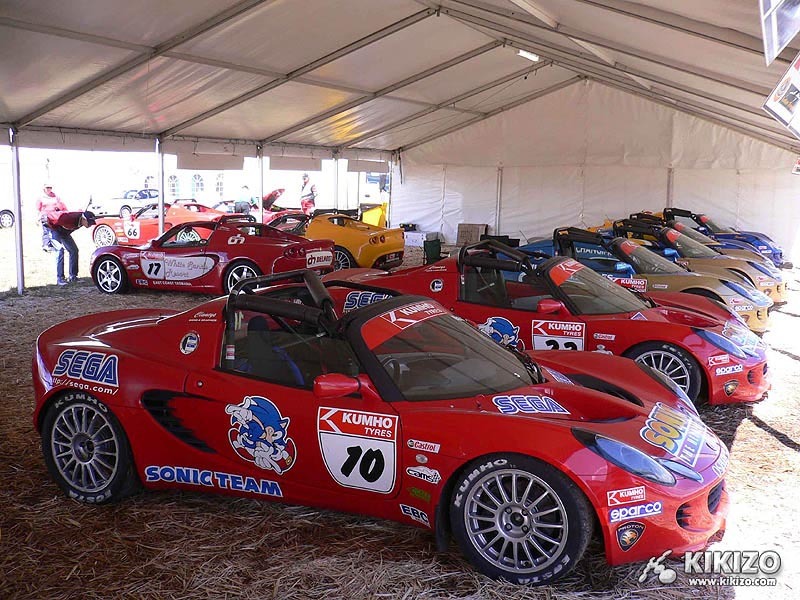 Reports from the day attested to the fact, saying he and two other Japanese guest drivers "performed admirably, settling into the rhythm of the Kumho Tyres Lotus Trophy in no time". 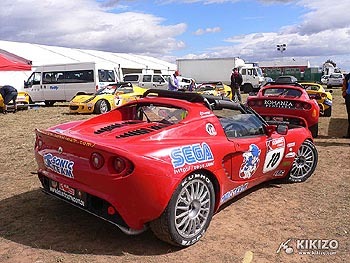 But while Sonic's been racing around our homes for nearly 15 years, his dad Naka-san isn't new to high speeds either. He's been racing Ferraris and Lotuses for around four years now, including at Japan's renowned Susuka track.